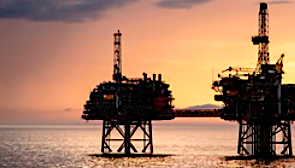 The UK’s Oil and Gas Authority said production efficiency (PE) on the UK Continental Shelf has risen for a fifth consecutive year — increasing to 74% in 2017. This continuous improvement is estimated to have contributed to an additional 11.8 million barrels of oil equivalent (boe) during 2017. Gunther Newcombe, Director of Operations at the Oil and Gas Authority, said: “This is very welcome and deserved progress. Industry is sustaining efficiency improvements and seeing the rewards of their hard work in maximising economic recovery. “It’s likely PE would have been slightly higher without the pipeline closure at the end of 2017. Production Efficiency is defined as the total volume of hydrocarbons produced in 2017 as a percentage of economic maximum production potential. The OGA added: “PE is an important indicator for the industry and the OGA as a core element of production optimisation and asset stewardship performance. “It is also a key focus area for the Maximising Economic Recovery (MER) UK Asset Stewardship Task Force, which identified PE as a Key Performance Indicator (KPI) for industry, and established a target of an average of 80% PE to be achieved by end of 2018. “In recent years, the UKCS has reversed the declining trend in both PE and overall production. 2017 production was 1.63 million boe/d, as per the OGA’s February 2018 report. This equates to 595 million barrels.